I was dutifully browsing the web this morning when I happened upon a blog from the verge detailing the release of the product known as Dungeons & Dragons Beyond, a tool for people playing the game hoping to streamline things somewhat by incorporating rules and character sheets into a single computer program. Find below full text of the blog below, and you can visit the Verge via the attribution below the text. Stacks of papers are a staple at any regular Dungeons & Dragons game, but Wizards of the Coast is finally offering a digital client to help gamers manage their characters. Today at PAX East, the company revealed a new “Digital Toolset” that works with Fifth Edition called D&D Beyond. Billed as a game management tool, D&D Beyond has an official rules compendium, a character builder and character sheet. From the looks of it, it’s designed to make it easier for players to look up rules and update their characters as they play. The company partnered with Curse, a media company owned by Twitch that builds gaming management tools for a range of platforms. 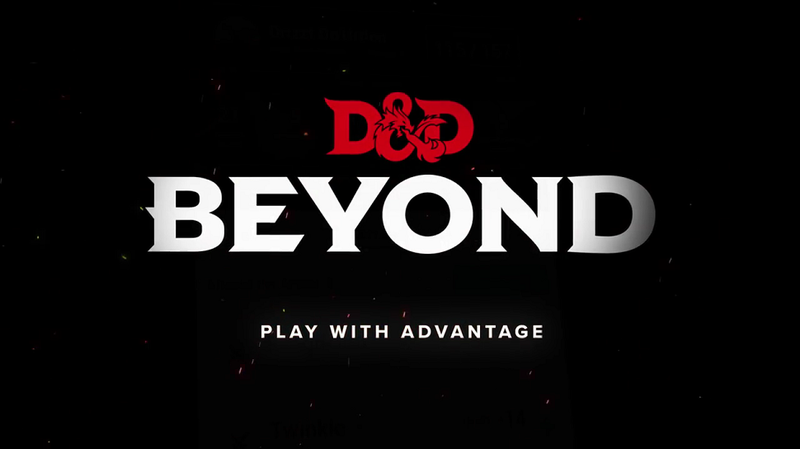 D&D Beyond appears to be a client designed to bring the traditional pen-and-paper role-playing game into the digital age. It’s definitely a long-overdue, although not unprecedented tool. There’s been digital accessories for the game in the past, such as TSR’s Advanced Dungeons & Dragons CD-ROM Core Rules in 1996, and it’s pretty easy to get PDF versions of character sheets to print out. There’s also a huge number of unofficial (and some official) digital programs and home-brewed tools out there for players to use to streamline characters and to look up rules. D&D Beyond looks like a response to that, but one that’s designed to aid the players who gather around the same table to play. As someone who’s had to redo many a character sheet over the years, an intuitive, digital version is something that I’ve wanted for a long time. The system is due out sometime this summer, but you can sign up for the Beta now. I am a fan of Dungeons & Dragons, though admittedly I prefer other systems. I have never wished to run a Dungeons & Dragons campaign for players, for several reasons. Firstly, there are (in my opinion) better game systems out there for the sorts of games that I want to run (based on intrigue, politics, mystery and even social advancement). Second of all, there are just so many rules to Dungeons & Dragons! I grant you, that is true of all games that are detailed, and perhaps if I had had more exposure to the system when I was younger, via competent games masters, I would feel confident learning the worlds and rules. If I was so inclined, D&D Beyond would likely prove invaluable. I have noted in the past that I use the software Scrivener for similar purpose when playing World of Darkness games. Here is a link to my Scrivener as a Games Master Tool Blog. I love the World of Darkness setting, but with so many different powers for so many different creatures, it is either build a database or have 17 books at the table, and an encyclopedic knowledge of where every rule is. So I started wondering about other tools people might use for streamlining games (comment below). Do you use a GM screen to hide your dice rolls? Or do you find them too intrusive? Do you use battle maps? Do you treat the game like an ever expanding board game? Or do you use them more for personal reference? (I have started purchasing some map tiles type stuff for role 20 games, but more for my benefit of knowing where everything is so I can describe with fidelity. Here is a link to some Geomorph Highway Tiles I was able to get. They can be assembled together using a program such as Photoshop Elements ) I believe I will be doing a blog in the future on maps, so I will say no more now. What tools do you use for your games? What streamlining do they bring? And what are your thoughts on Dungeons & Dragons Destiny? I have never been a GM, but I also haven’t done a lot of dice roleplaying. I want to start a regular league once I graduate from college because this sounds so fun! It is fantastic fun! I’m not actually confident/competent enough to run Dungeons & Dragons, as i have never read the rules though I am competent enough to play (I play in one DnD game just now as Felix the incredibly ill, but ridiculously powerful level 1 wizard who is definitely not based on Skeletor or Emperor Palpatine, whose nickname of “The Senate” is completely unjustified). I do run Vampire the Masquerade (was running one when you commented), and Marvel Heroic both of which I love for different reasons. I will shortly be writing a short Marvel adventure for one of the other folks who reads this blog. Am happy to run it for yourself and a couple of your friends if it would be helpful in introducing you to doing this sort of thing. Plus, I post here Gamesmaster tips (as I see them) frequently, which would hopefully help you start your game. Give me a shout if I can be of any help.